Beginning January 15, 2009, the Court will adopt a new procedure for setting the deadlines for filing briefs in all criminal appeals. The Court will set and “so order” as the filing dates for appellant’s and appellee’s briefs the respective dates proposed by counsel. Unless the case involves a voluminous transcript, the appellant must select a date within 120 days of receipt of the complete transcript, and the appellee must select a date within 120 days of receipt of the appellant’s brief. If counsel requests more than 120 days, the Court may reduce the time for filing the brief. The automatic 30-day extension is eliminated for all purposes. The so-ordered filing dates are firm. A subsequent motion for extension of time to file a brief will be denied absent a most extraordinary circumstance, such as serious personal illness or death in counsel’s immediate family. Appellant’s reply brief must be filed in compliance with FRAP 31. Appeals in Which No Scheduling Order Has Issued. Within 14 days of receipt of the complete transcript, appellant must notify the Court and all counsel in writing of the date by which the brief will be filed (the “scheduling notification”). Within 14 days of receipt of appellant’s brief, or the last appellant’s brief in a multi-defendant appeal, the appellee must notify the Court and all counsel in writing of the date by which its brief will be filed. Unless the case involves a voluminous transcript, the appellant must select a date within 120 days of receipt of the transcript, and the appellee must select a date within 120 days of receipt of the last appellant’s brief. An extension of time to submit the scheduling notification will be denied, absent a most extraordinary circumstance. In the event that a party fails to timely file the scheduling notification, the Court will set a 30-day filing date for the defaulting party’s brief. Upon docketing an appeal, the Clerk’s Office will issue a docketing notice. Appellant retains the obligation to order the transcript in accordance with FRAP 10(b)(1) and the Plan to Expedite Criminal Appeals. In addition, appellant must now notify the Clerk’s Office if the complete transcript is not received within 30 days of the transcript order. Appellant must include in this notice documentation of the efforts made to obtain the transcript. Appellant is further required to update the Court in 14-day intervals until the complete transcript is received. During this time the Clerk’s Office will undertake to facilitate delivery of the transcript. Appeals in Which a Scheduling Order Has Issued. Absent a most extraordinary circumstance, the extension granted upon this motion will be the last. The elimination of the automatic 30-day extension applies to these cases. A party seeking an extension of time to file a brief in a case in which a scheduling order has issued but the transcript has not yet been received should follow the procedure set forth supra. A party seeking an extension where a scheduling order has issued and the complete transcript has been received must include in the motion papers all prior extensions granted in the case and state a proposed date for filing the brief. If more than 120 days has already lapsed from the receipt of the complete transcript or appellant’s brief, counsel is advised to propose a minimal extension. 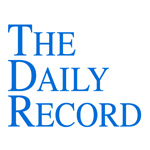 This week's Daily Record column is entitled "Carelessness Trumps the Exclusionary Rule." In February 2008, I wrote an column about the U.S. Supreme Court’s decision to grant certiorari in Herring v. U.S.
computer database, as it should have been. In light of our repeated holdings that the deterrent effect of suppression must be substantial and outweigh any harm to the justice system, e.g., Leon, 468 U. S., at 909–910, we conclude that when police mistakes are the result of negligence such as that described here, rather than systemic error or reckless disregard of constitutional requirements, any marginal deterrence does not ‘pay its way.’ Id., at 907–908, n. 6 (internal quotation marks omitted). In such a case, the criminal should not ‘go free because the constable has blundered.’”People v. Defore, 242 N. Y. 13, 21, 150 N. E. 585, 587 (1926) (opinion by Cardozo, J.). The holding is problematic for any number of reasons, but two of the court’s underlying assumptions are particularly disturbing: One being that any deterrent effect of the exclusionary rule in the case would be “marginal”; the second, that all arrestees are necessarily criminals. The Court assures that ‘exclusion would certainly be justified’ if ‘the police have been shown to be reckless in maintaining a warrant system, or to have knowingly made false entries to lay the groundwork for future false arrests.’ … This concession threaten individual liberty, are susceptible to deterrence by the exclusionary rule, and cannot be remedied effectively through other means. … In keeping with the rule’s ‘core concerns,’ … suppression should have attended the unconstitutional search in this case. 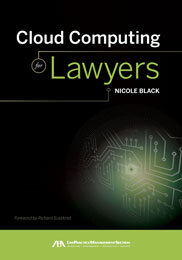 As Justice Ginsberg notes, widespread use of computer databases is now the norm in America and massive amounts of data are collected, stored and shared among various governmental agencies. and budgets tighten, governmental entities most certainly will fail to allocate sufficient resources toward the periodic regulation and review of law enforcement databases, since there is now little, if any, incentive to do so. As a result, ordinary, law-abiding citizens —especially those with common names or names resembling those on terror watch lists —will bear the brunt of the decision. Such an outcome is unfortunate, unacceptable and un-American. General Agreement on Tariffs and Trade-A comprehensive free-trade treaty signed in 1947 by 117 nations, including almost every developed country. The goal of GATT has been to promote global economic growth by encouraging and regulating world trade. Among other things, member countries are required to treat all other member countries equally in the application of import and export tariffs, offer basic copyright protection to authors from member countries, consult with each other about trade matters and attempt to resolve differences in a peaceful manner. GATT created an international regulatory body known as the World Trade Organization (WTO) to enforce compliance with the agreement. Edward Wiest and Elaine Necht got it right! Note: I am posting the new Medicaid figures for 2009. The most significant changes are in the individual resource allowance (now $13,800) and in the community spouse's MMMNA (now $2,739). New York's New Prejudice Rule -- One For No-Fault In The Future?